Transport is central to many of the current planning and policy debates. 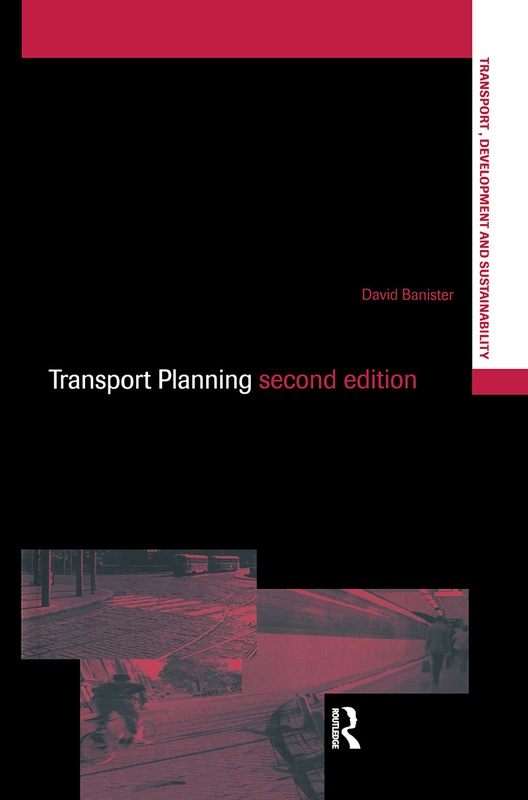 Completely revised and restructured, the new edition of Transport Planning describes the evolution of transport policies and planning, linking the past with the contemporary and future debates. It is divided into two main parts. A Retrospective Analysis describes the recent past and how the current situation in research and practice on transport planning has developed. Evidence is taken from Great Britain and the United States, illustrating the similarities in thinking across transport, planning and evaluation. There is a review of the radical policy alternative presented by the market approach to transport provision, and a complementary new chapter on events since 1997, with the difficulties of finding the means to introduce the social market. The first part ends with a discussion on the limitations of transport planning in terms of both its theoretical foundations and of the approaches currently being used. The second part of the book begins with a Comparative Analysis of experience in three European countries (Germany, France and the Netherlands) and the United States. It covers both transport planning and evaluation, where difference approaches have been developed in response to national policy issues and the different cultural and analytical traditions. This experience provides a useful context for interpreting the new agenda in the UK. This is followed by a Prospective Analysis of the key issues facing transport planners in the twenty-first century, including the need to replace existing infrastructure, to build new infrastructure, and to ensure the optimal use of existing infrastructure. All these issues will necessitate different analytical approaches, particularly where new forms of financing are required and as the new political relationships between the state and market are stabilised. Some form of strategic vision is required together with a planning framework within which the market can operate. 1. Transport and Travel in the Last Forty Years. 2. The Evolution of Transport Planning: The 1960s and 1970s. 3. Developments in Planning Analysis and Evaluation. 4. Radical Policy Change. 5. Contemporary Transport Policy. The Limitations of Transport Planning. 7. Overseas Experience. 8. Transport Agenda 21: The Way Forward. 9. The Role of Transport Planning. 10. Conclusions.